Looking for a USED MCR-A5CII 30X50? 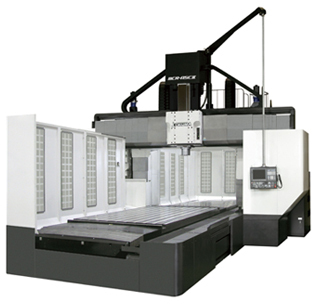 The MCR-A5CII is a high-speed double column machining center with compact auto loading/unloading attachments for true 5-sided machining in a compact footprint. The solid double column construction ensures greater rigidity and closer tolerances, making this machine well-suited for the efficient machining of general parts and rapid die/mold jobs. Looking to Purchase a New OKUMA MCR-A5CII 30X50?